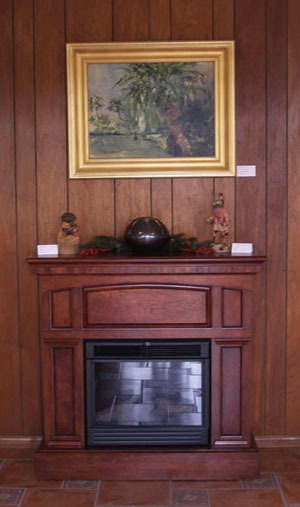 The Gallery at Rancho Ellenita showcases arts of the American West: especially classic Twentieth Century Desert and California landscape paintings; equine and wildlife paintings by celebrated Australian artist, Margaret Waterhouse; plein air paintings by Southern Califonria artist, W. Jason Situ, and fine arts by and of Native Americans. Featured on this website is a selection of the works of art we have on display in the actual gallery. 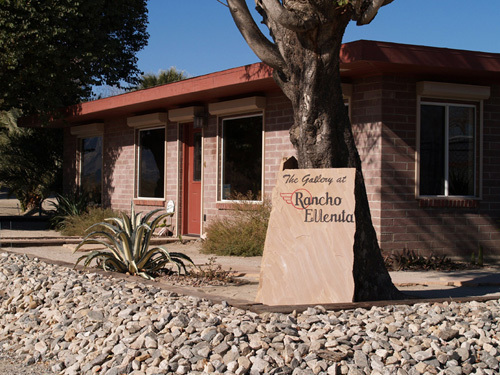 Located in the heart of the Coachella Valley south of the international resort of Palm Springs California, Rancho Ellenita is a working ranch on the northeast corner of Ave. 54 and Monroe Street, in Vista Santa Rosa (Thermal). Our area, just east of La Quinta and south of Indio is where equestrian and agricultural ranches interface with desert resorts and country clubs. On Avenue 54, we are a mile east of PGA West, and 2 miles east of SilverRock Resort (both Bob Hope Chrysler Classic venues). On Monroe, we are 1 ½ miles south of the Empire and El Dorado Polo Clubs (famous for polo, the Coachella Music Festival, national dog shows, etc.). Merv Griffin's Ranch, his new Griffin Ranch equestrian community, and the new golf community of the Madison Club are just to our east. When traveling south on Jefferson, Madison, or Monroe Streets, turn east (left) on Ave. 54; the Gallery is located at 82-150. The gallery is open by appointment only, please call or email ahead to see our collection.